some things take a long time to finish. like the green cotton cardigan i finished this summer, for instance. 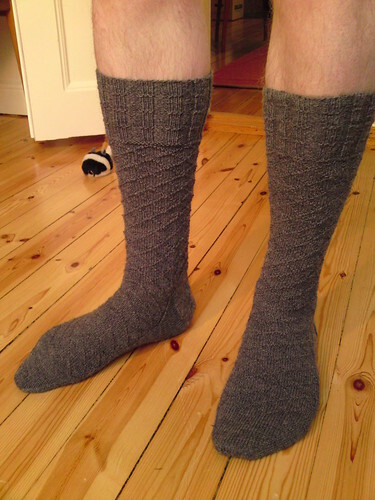 these socks weren’t on the needles quite as long as the cardi, but still, it took me about three and a half years to finish them. sometimes it takes me a while to blog stuff too. more than seven months, actually. anyway, here they are! i kind of like them, the pattern is very beautiful. the yarn is ok, but not a favourite. all together acceptable indoor socks. 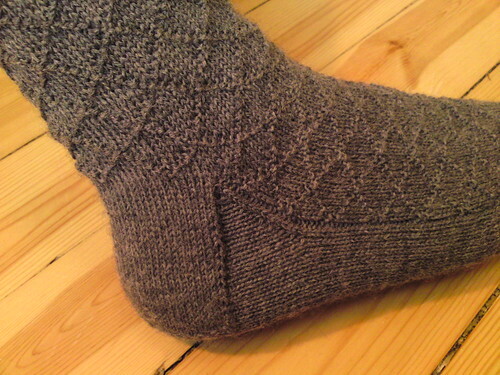 my last finished project from 2010 are the lozenge socks! i begun this project in 2007, but wasn’t satisfied with it (turned out too tight) and it’s been hanging around my wip’s for a looong time. i decided to do some frogging and then re-knitting with larger sized needles. they’re still too tight around the calf for me, but they fit stefan! 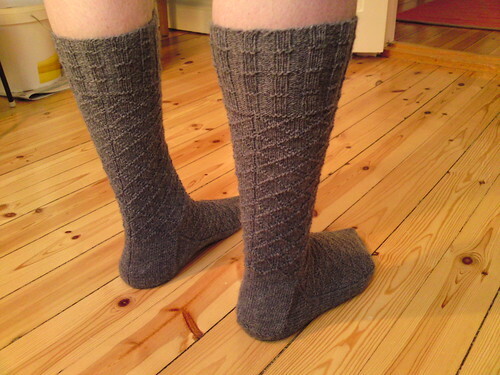 i really liked knitting these socks, they were a quick knit despite the 2,5 mm needles. the pattern is really easy to follow, i had no problem with it at all. 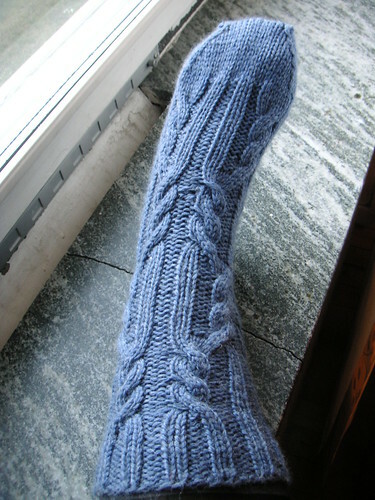 i look forward to knitting another pair from the book, there are so many lovely socks in it. i’m very satisfied with these socks and stefan really likes them too. a successful project! the only down side is the yarn. it’s not very nice to knit with at all. 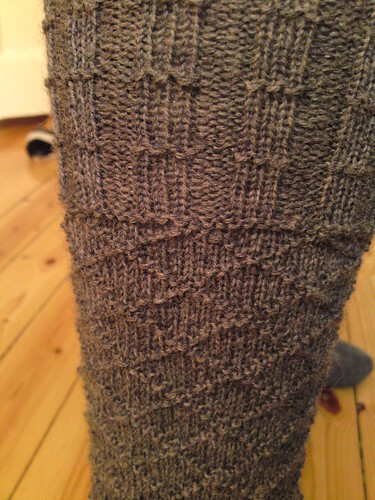 but the knitted up fabric is quite nice. however, i will not add any more of this yarn to my stash.